Friends of a British holidaymaker stabbed to death in Cyprus have called on authorities on the divided island to "work together" to solve the case. 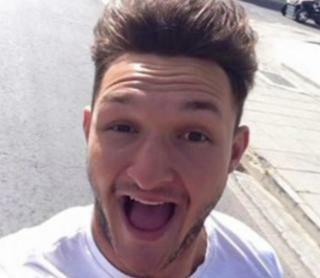 George Low, 22, of Dartford, was killed near a nightclub in Ayia Napa on the Greek side of the border on 14 August. Two men, named as suspects, fled to the Turkish-controlled north and have been arrested for an unrelated offence. Police have been told Mr Low and his friend Ben Barker were attacked after a row about urinating in the street. Speaking about the difficulties of apprehending suspects who are in the Turkish-controlled part of the island, police chief George Economou said no-one had been handed from north to south "for many years". The deputy for the Famagusta region of Greek Cyprus said he could not remember anyone being transferred. Cyprus has been divided politically since 1974 when Turkey invaded the north after a military coup on the island backed by Athens. Estate agent Mr Low's former housemate on the island, Jason Woods, said: "I don't really know too much about the politics side of it. But we're just hoping they are going to help and work together and get what's right." Arrest warrants were issued for Mehmet Akpinar, 22, and Sali Ahmet, 42, following the stabbing. Mr Economou said the men were detained late on Friday in the Turkish area for three days over an unconnected offence and he was waiting to hear the outcome. Mr Woods told the BBC he was "heartbroken" by Mr Low's death. "He lived to make people laugh, I don't think there's anyone on this island who didn't know him. He was our brother. He would be laughing at us now but it's heartbreaking," he said. Bradley Bowden, who worked with Mr Low in Ayia Napa last year, said: "George was such an awesome guy. He wouldn't want us to feel angry. "He's the type of guy who would laugh at everything. I've never seen him unhappy in my life. So we are angry but we'd rather celebrate his life than get angry over the situation." 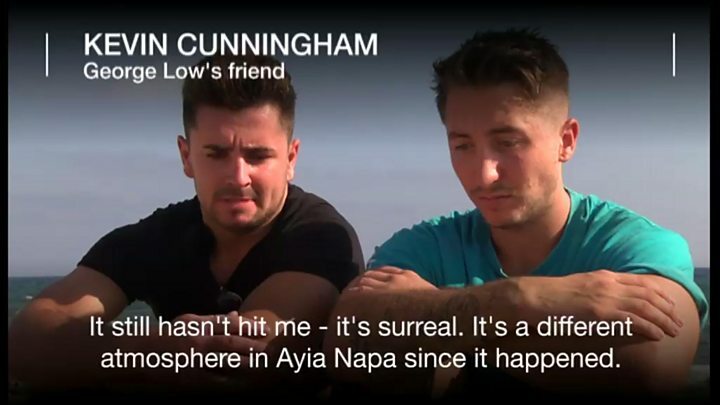 Mr Low, a former club manager in Ayia Napa, and his friend Mr Barker are believed to have been stabbed after a row broke out about urinating in the street. The police said one of the assailants allegedly returned with a knife about 10 minutes later. Mr Barker, 22, survived stab wounds to his back in the attack in Grigori Axfentiou Street. A warrant was also issued for a third man alleged to have helped the suspects escape to the Turkish side. A 48-year-old woman, said to be the girlfriend of Mr Akpinar, was remanded in custody for eight days after being questioned on suspicion of taking him a fresh pair of clothes and retrieving his mobile phone.